Weekdays tend to be busy for the humans. Playing with MUNI always happens, but grabbing a camera to capture a cute moment (or two or two hundred) sometimes gets overlooked. Today MUNI showed fearlessness in following the adults out of the kitchen and romping into the back hallway. We were kept busy watching her, encouraging her, and warning her away from things like wires. Very cute. And, happily exhausting. We had an opportunity to take photos only one time. The puppy was slowed down at the gate — she had to attack her long-suffering mother. Day 52 — Expanding Our World. MUNI attacks Zenith in a romp in the back hallway. And, now I have to confess… there is not picture for Day 53. Not a formal picture or even an iPhone snapshot. Come back and tune in on Friday. 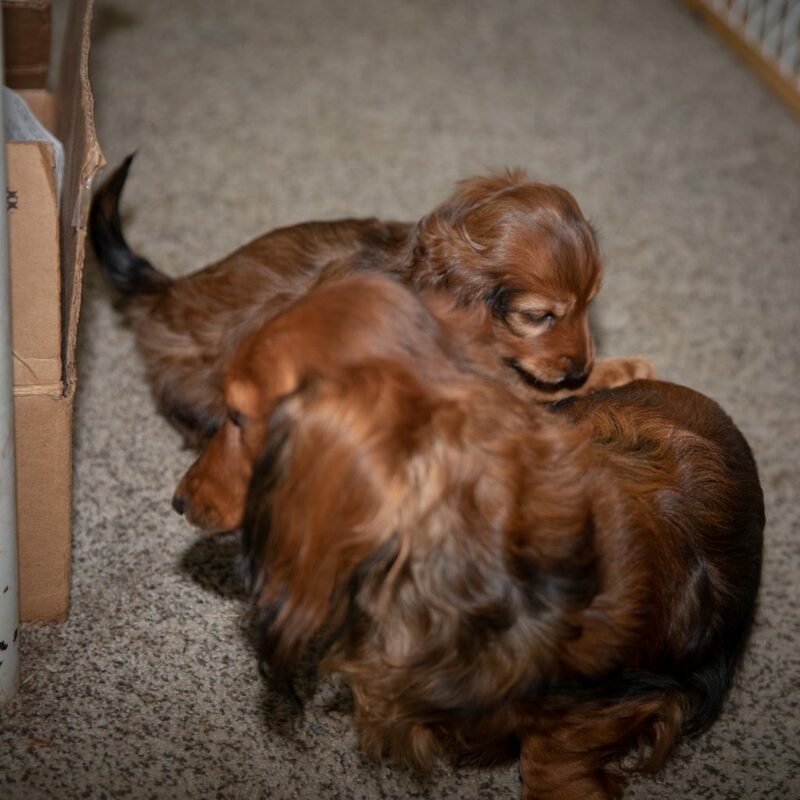 This entry was posted in dachshunds and tagged MUNI, puppies2018, zenith puppies. Bookmark the permalink.